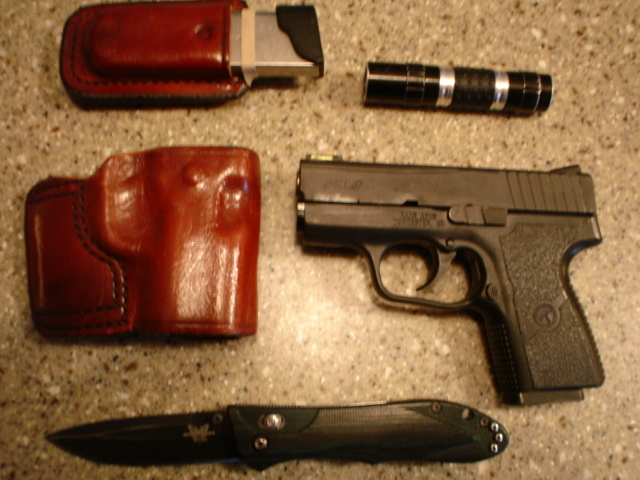 Thread: Let's see some EDC set-ups! 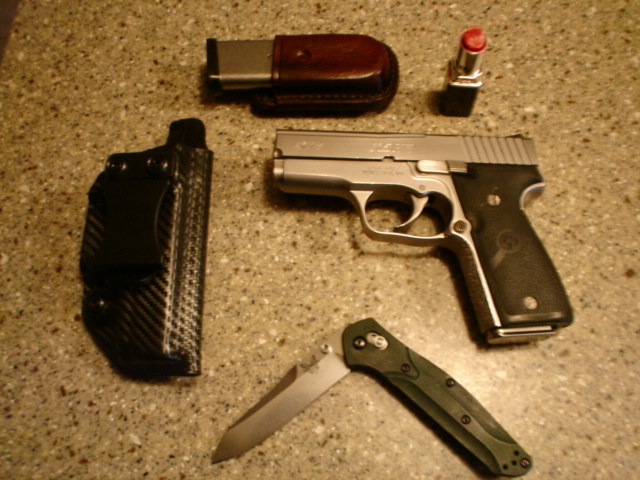 ... but I still carry a P40 most often. 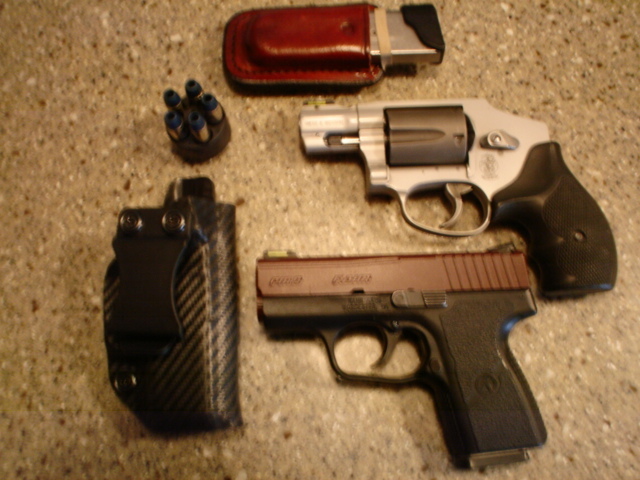 You winter carry is very similar to my every day carry. 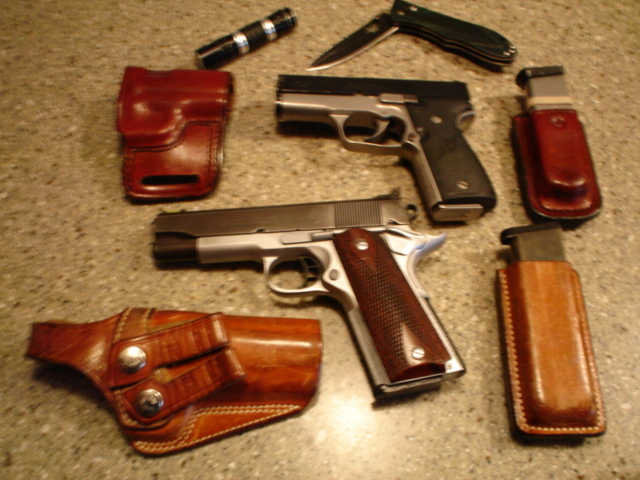 Dan Wesson Cbob and PM45. Seems as I get higher mileage I tend to leave one behind, usually the PM45. Guess I'm getting sloppy or something.